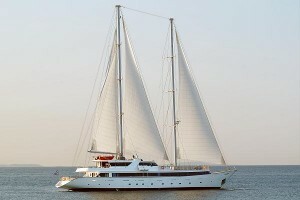 2 masts - 650sq.m. 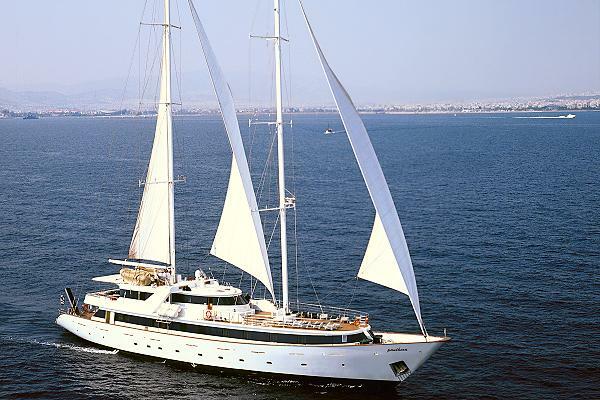 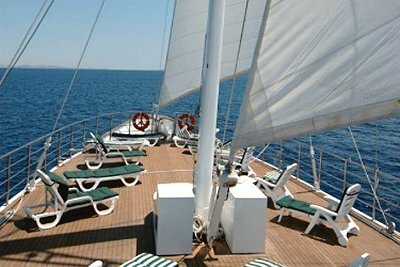 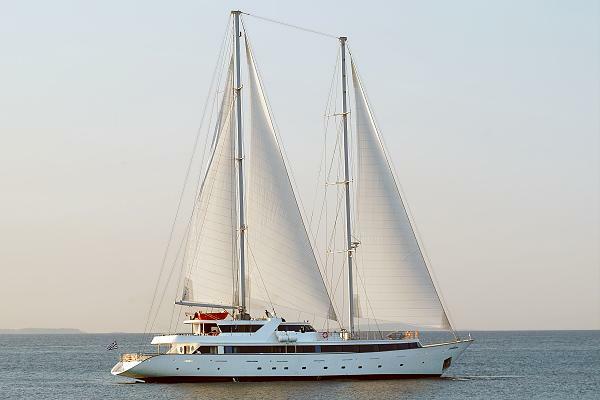 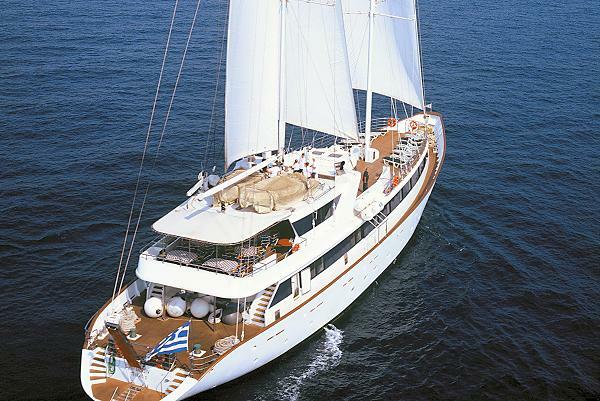 sails, 3 passenger decks, maximum 49 guests in 25 cabins, 16-18 crew members, dining room, outdoor bar & dining, sun deck with loungers & chairs, air-conditioned, TV & audiovisual equipment in lounge, internet & email service, special meals programs water sports equipment. 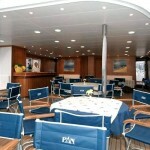 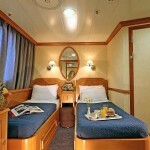 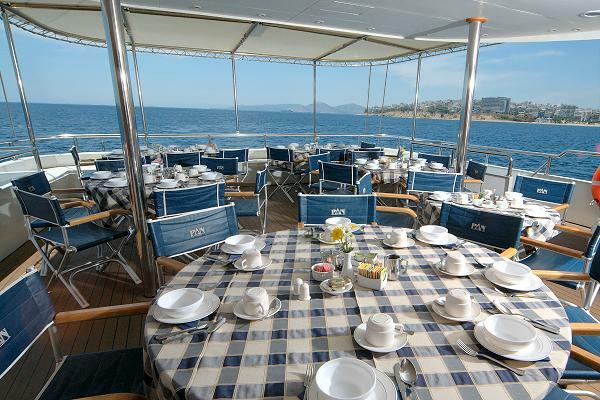 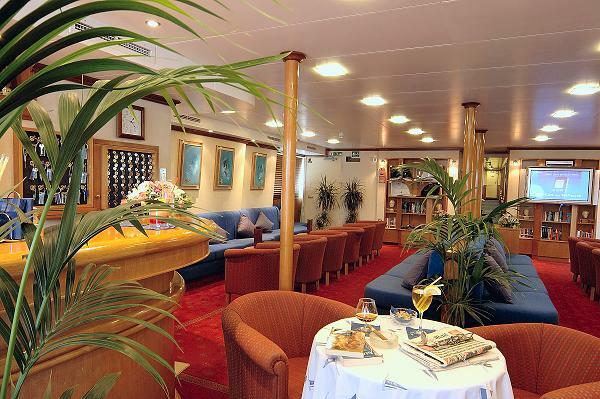 The public areas of the two masted Panorama II, a sail assisted cruise vessel, include a main lounge with deep pile carpet and comfortable sofas. 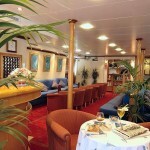 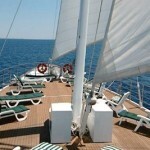 At the Upper deck, the aft area provides generous semi covered or sun exposed areas. 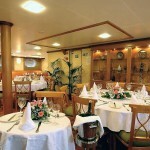 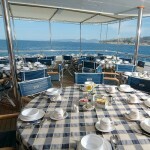 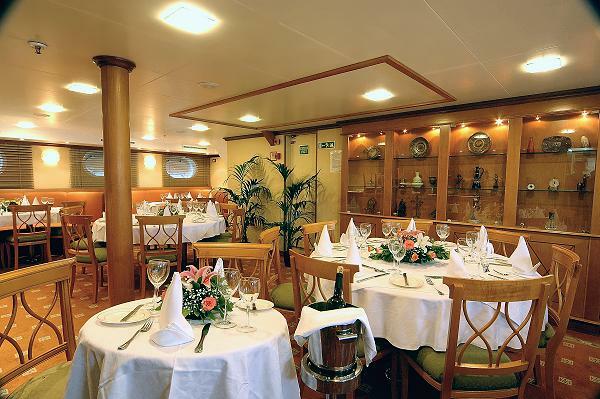 The restaurant area is located at the Lower deck. 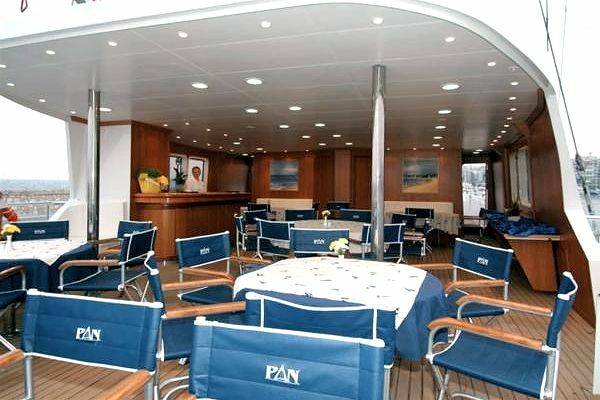 The swimming platform on Panorama II stern enables you to swim when weather and anchorage conditions permit. 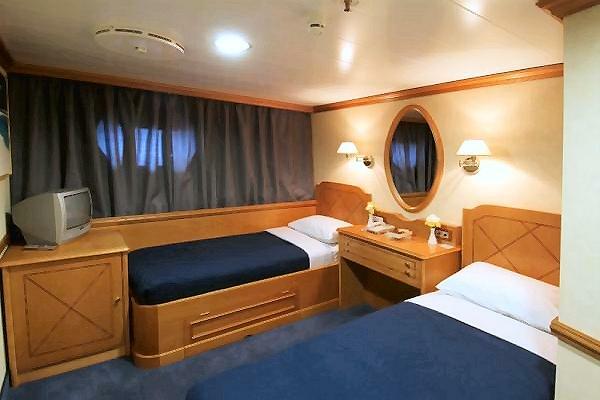 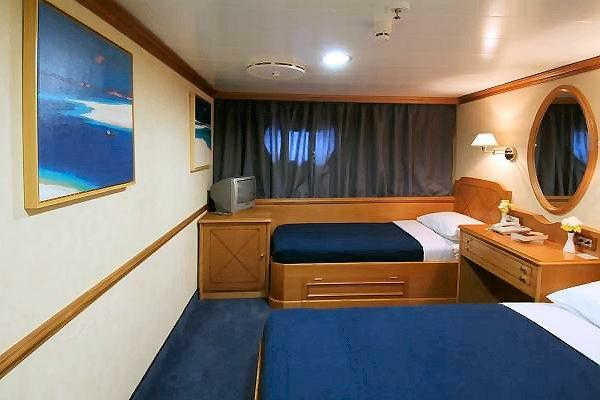 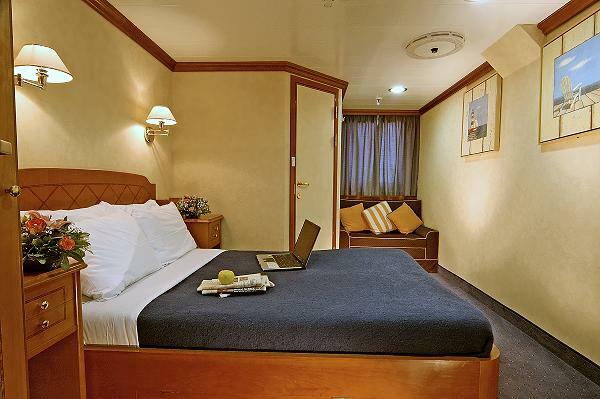 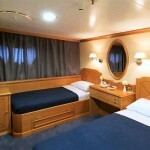 All cabins are outside ones, have individually controlled air-conditioning and are fitted with TV, telephone for internal use, hairdryers, hairdryer adapters (voltage: 220 V), mini-fridge, central music, public address system and mini safe box. 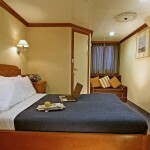 The fully equipped bathrooms (showers) are finished with marble. 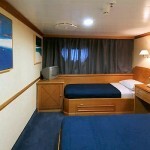 Cabins may have twin or queen sized beds. 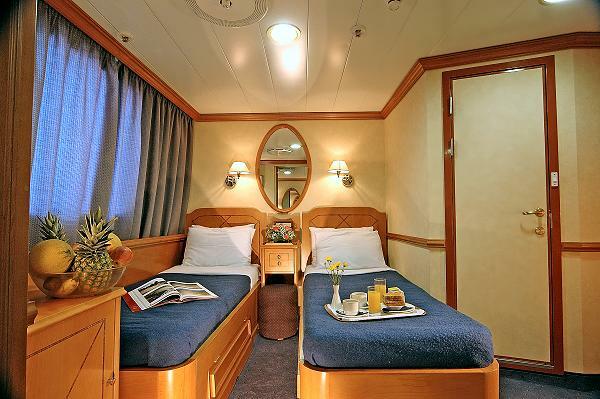 'A' category cabins have windows while the ones of categories 'B' & 'C' have portholes.